Labor Day weekend was one of the first times in a long time that we felt it pertinent to have reservations somewhere. Since we’d never explored North Central Washington as thoroughly as we’d like to, we found a state park with an opening for a stay over the long, busy weekend. All the sites with hookups were already taken, but we were able to reserve a dry camping spot for $25 night. It was a beautiful campground and we really enjoyed our stay there, but I am really over paying more than $20 for sites without hookups. 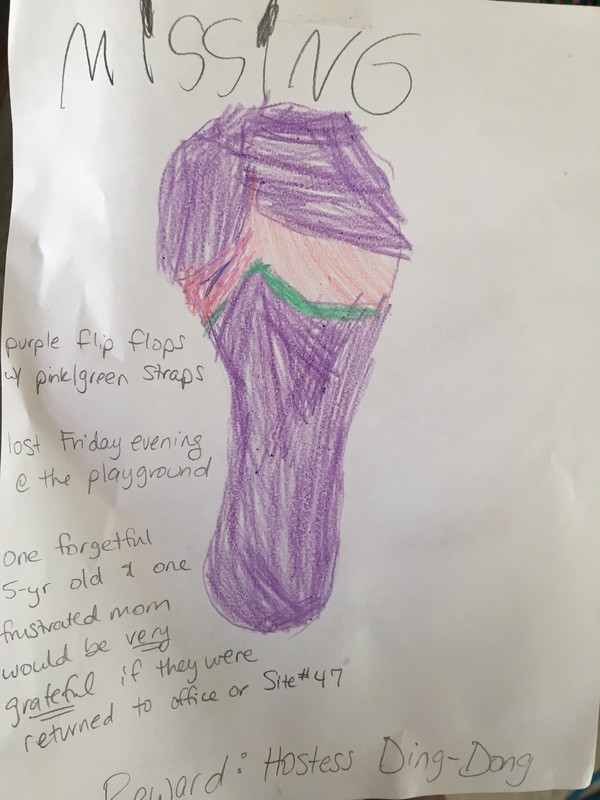 Coral posted this on the playground after she left her shoes there and couldn’t find them later. She has lost other shoes on this trip already so I was a bit frustrated. Upon further inspection, they were right where she left them the whole time. There was no cell reception in this tiny little one-store town in a rural valley. So the down-side of this location was that we had to take turns driving about 10 minutes up the highway to a small road-side pull out to check email or make calls or research next destinations. The up-side was that this gave me several days without the distractions that wifi offers to focus on crushing out a plan for the first month’s worth of homeschooling. 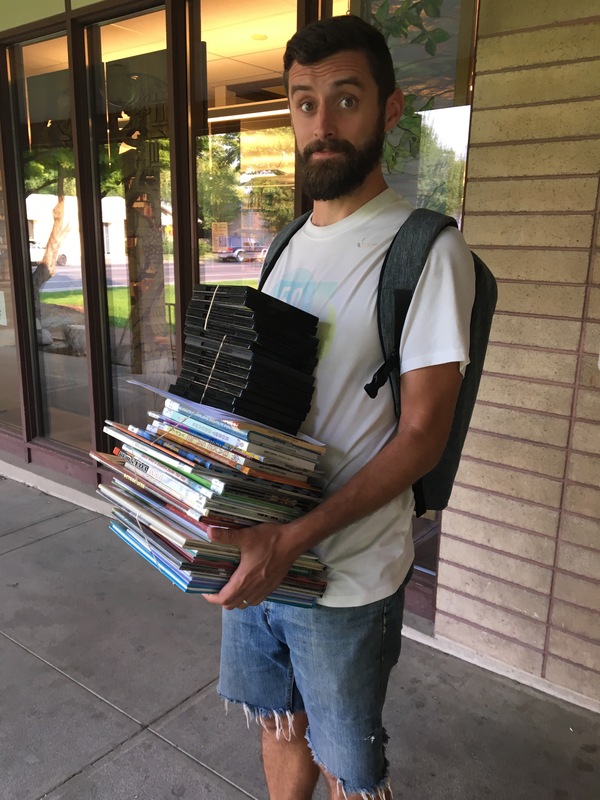 Turned out that the library in nearby Omak was part of our home library system!!! We checked out over 50 items to celebrate. I also got to enjoy a night of music hosted by one of the camp hosts and a ranger. They brought extra instruments and song books and a propane fire pit, and as they released song and rhyme out into the night sky it slowly beckoned more and more families to join the circle and contribute. I love these moments. I love music. It opens me up in a way that nothing else does. I’m so grateful for experiences like this. My favorite band member this night was the host’s wife, who kept up the bass line with a string tied to a bucket. can Coral make me a sign for the earring i lost? because that is the best! did she get the reward? I checked the lost and found and it’s still not here. Thanks for the posts. You guys are cool.